GEORGETOWN RUNNING CLUB: Look what's on sale! perfect for going to strip clubs in as well. Can we get team beanies too?? Dude, we're not buying pants of any kind! Whaddya think we're made of money? Just singlets and half-zips. You mean hoodies and singlets, right? To show my commitment to the cause, I will be racing the 3k time trial tomorrow in a matching Brooks sweatsuit. 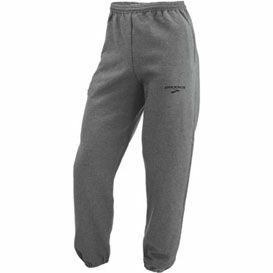 And if this Sweatpants For All campaign is squashed by the higher ups, I've already started to craft a push for Snap-off pants.